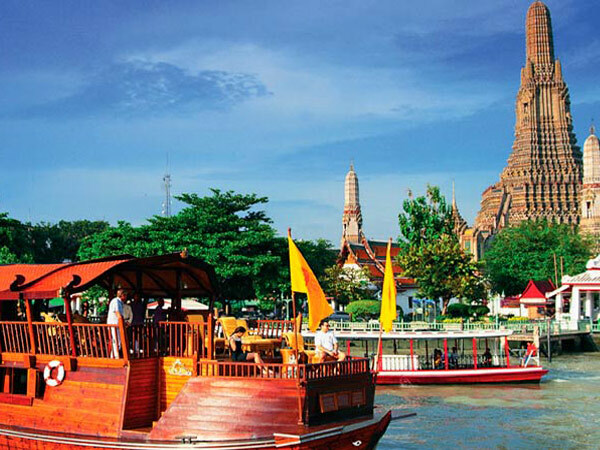 For those who prefer to participate in an ultra-deluxe cruise on one of Asia’s most famous waterways – Thailand’s Chao Phraya – the River of Kings. 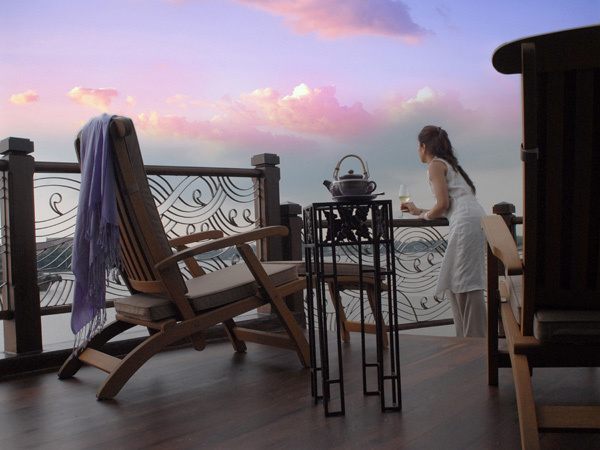 We recommend a 3-day/2-night cruise on the Anantara Song. 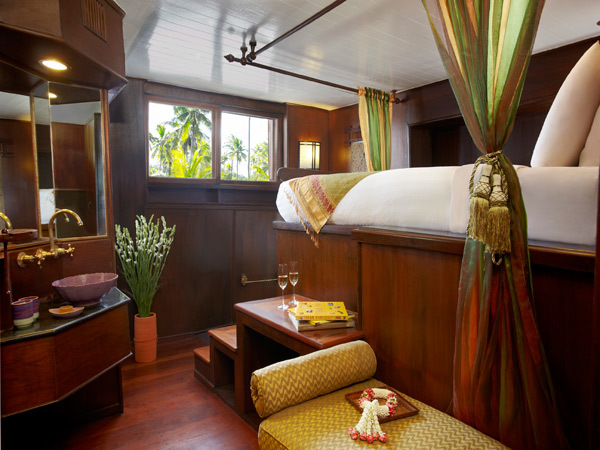 The Anantara Song is a 22-meter river rice barge that has been lovingly restored and lavishly converted into an ultra-deluxe river cruiser, designed for up to four couples to explore Thailand's famous Menam Chao Phraya in unmatched opulence and comfort. 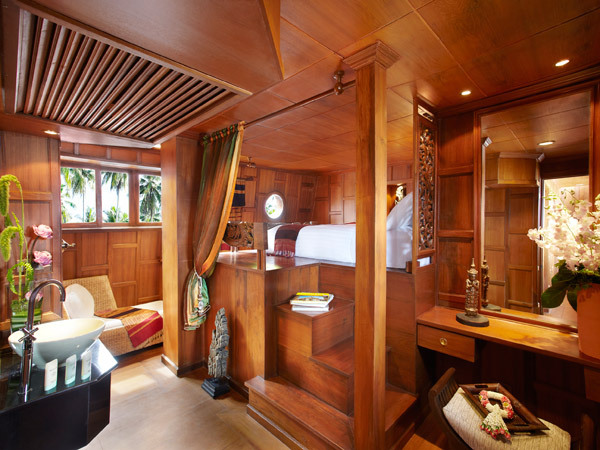 Built on the original 40-year-old, solid Teak hull, the Anantara Song features four air-conditioned bedrooms with queen size beds, including western style bathrooms, expansive living and dining areas with a bar, and an ample sun-deck, with private crew quarters and kitchen in the aft. Asian Trails Thailand offers special tours for Bangkok and excellent rates for the 3 Days Anantara River Cruise (Every Monday/Thursday) starting from 2016-11-01 to 2017-10-31 including all taxes and service charges. 08:30 Transfer from hotel to pier and board on Anantara Dream. 11:00 Arrive at Yod Piman Pier to visit the flower market. Be amazed by fascinating market scenes and the wares that are sold, maybe even try some delicious local snacks. 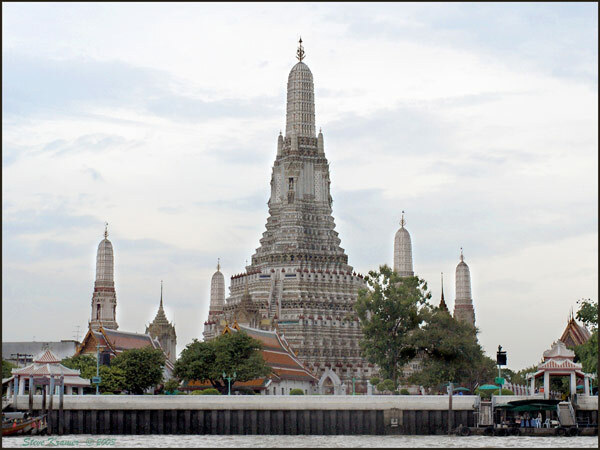 11:45 Arrive at the magnificent Temple of Dawn, or Wat Arun; one of the best known temples in Bangkok and dates back to the ancient Ayutthaya period. 12:30 Arrive at the Royal Barges National Museum. This is one of Bangkok’s most fascinating sites, not seen anywhere else in the world. The museum is home to an incredible collection of gilded and ornately decorated boats with magnificently carved prows, including his Majesty the King’s personal barge, Suphannahongse. All the barges kept here are unique in their portrayal of the Kingdom’s incredible craftsmanship. 13:30 Lunch is served. Shortly after your lunch, we will pass the manmade island of Koh Kret in Nonthaburi Province which is populated by one of Thailand’s many ethnic minority groups, the Mon people, who use the river’s fine clay to produce earthenware pots. 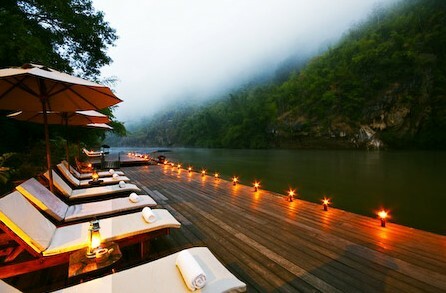 Then as we continue our journey, spend the afternoon relaxing on board, watching vivid snapshots of river life unfold. 16:30 A quick stop at Wat Pathum Khong Ka to feed the fishes which offers a simple way of gaining merit and good luck. This promotes the Buddhist cycle of life whereby feeding the fishes so that they in turn, can produce life. It is amazing to see that some of these carp fishes are giants! 17:30 Arrive at Wat Samakkiyaram in time to watch the sunset and moor for the night. Relax and freshen up in your private en-suite stateroom, before returning to the deck for aperitifs and Thai canapés. flavours and aromas are experienced. 19:30 With Wat Samakkiyaram as a dramatic backdrop, a traditional Thai dinner will be served which also includes what you had cooked with the chef earlier, after which you can relax on deck with a glass of wine or nightcap before retiring to your stateroom for your first night on the river. 08:00 Enjoy your freshly prepared breakfast. 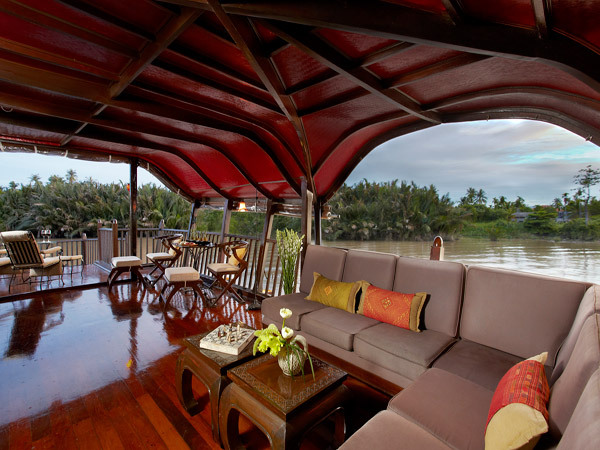 Recline on a deck lounger and watch river life float past as you cruise up the Chao Phraya River through the Thai countryside. 09:30 We will stop briefly at Wat Bote which offers a wonderful chance to make merit with the monks followed by a tour of the temple. Thai Buddhists believe that by making merit they earn happiness, peace and the chance to progress in their next life, while this sacred experience creates a harmonious way to start the day for all. 13:30 We arrive at Wat Panancherng for a tour of this old monastery which houses Thailand’s largest ancient Buddha image. This image, known as Luang Po To, was built in 1344 and is revered as the God Protector by the Chinese, who made up the majority of sailors at this time. 15:30 Take a limousine transfer to Bang Pa In, one of the 16 districts of Ayutthaya, where you will rejoin Anantara Cruise. Along the way you may wish to buy a bag of fish or a cage of small birds for you to release back to nature in a local gesture of making merit. 17:00 Relax and freshen up in your private en-suite stateroom before returning to the deck for aperitifs and Thai canapés. 19:30 A traditional Thai dinner will be served on deck. 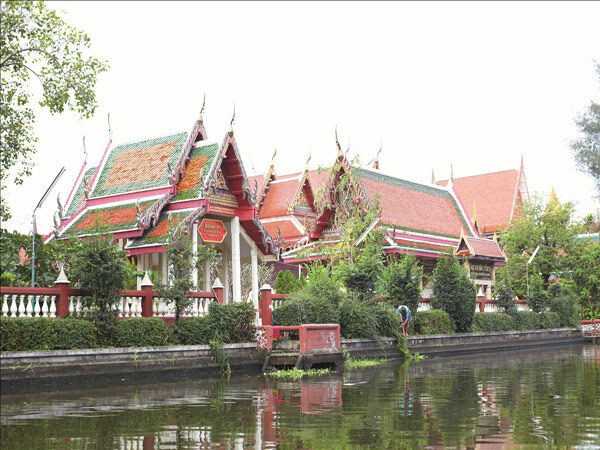 09:00 Your personal guide will meet you at Anantara Cruise and begin the tour of Wat Niwet Thammaprawat - one of the most intriguing Buddhist temples – and this is where we will moor for the night. Wat Niwet Thammaprawat was constructed at the command of King Rama V in 1878 in the style of an English Gothic church. The temple’s stained glass windows and unusual architecture makes it one of the most distinctive Buddhist temples in Thailand. 09:30 From Wat Niwet Thammaprawat we will take a short walk to the Bang Pa In Summer Palace. 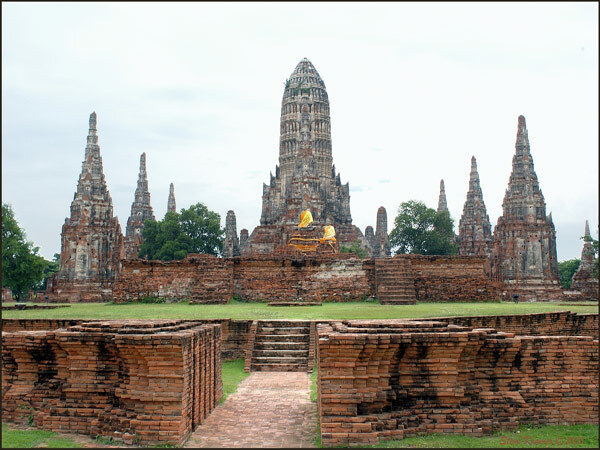 The original palace was built by King Prasat Thong on the island and was used as a country residence for the later kings of the Ayutthaya period. However, after the capital moved to Bangkok, Bang Pa In was abandoned for 80 years to be revived by King Rama V, who commanded the construction of additional theatres, temples and monuments in a mixture of European, Chinese and Thai styles. We will explore the palace grounds by electric carts, although the site can also be easily walked. 10:30 Travel to Bang Sai Royal Folk Arts and Crafts Centre with a limousine transfer and guide to enjoy the patronage of Her Majesty the Queen. 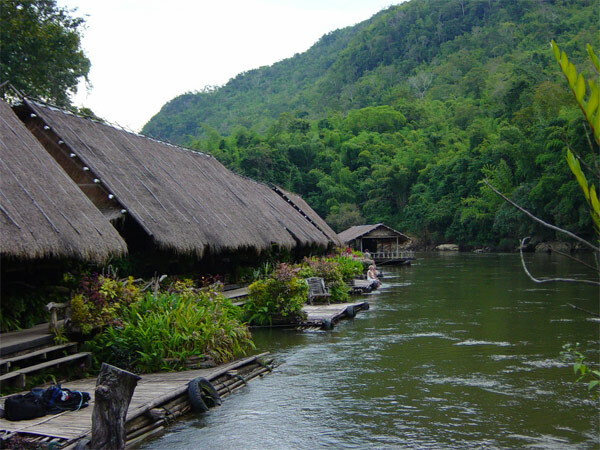 Here you can see a variety of Thai houses in regional styles and discover how Thailand’s rural people make handicrafts such as fern basketry, silk flowers, hand woven silk and cotton, silk dyeing, wood carving, miniature hand modeled dolls and traditional furniture, which make it a great place to shop. After a short guided tour, we will depart at around noon. 12:00 Rejoin Anantara Cruise at the Bang Sai Royal Folk Pier. 13:30 A light Thai set lunch will be served as we head back to Bangkok. 16:00 Tea time. A traditional English afternoon tea is served. Sip on a selection of teas, accompanied by delicious cookies and pastries. - Roundtrip transfers to/from Bangkok hotel. - Accommodations including all meals. - All admission fees for guided visits to Ayuthaya and Summer Palace. - Exclusive crew during the cruise and the services of local English-speaking guide during tour of Ayuthaya. - Other services not mentioned in package. - Alcoholic beverages, fruit juices, etc. and offering to Buddhist monks. - Minor program changes are sometimes necessary, depending on local condition. - Should VAT (currently 7%), any other government taxes or fuel cost be introduced or raised within the contract period, we reserve the right to adjust our rates accordingly to reflect the change.